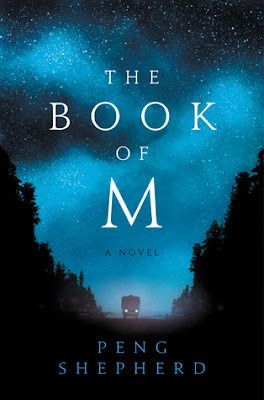 The Book of M made me hope in the face of hopelessness, believe the unbelievable and in a most rare occurrence, make me grieve for all the main characters and pretty much all the secondaries. It was, all around, time well spent. In a world where people are losing their shadows, then their memories, and eventually their physical selves, everything else is a bit off kilter as well. Roads inexplicably turn into spirals, cash becomes blank paper and the Statue of Liberty is shown in a scene so awesome (in the breathtaking apprehension way) that I'll forever thank this book for making me think I need to give magical realism in fiction another look, because damn that was vivid and memorable. There's a religious cult rising and battles of various factions but something like salvation is rumored to be ensconced in New Orleans. Through this panoply of chaos in what's pretty close to an epic extinction event, hope continues to abide in things as wondrous as a conversation with a fox and as mundane as a salvaged book or number scrawled on the back of a road sign signifying the most important thing between two people. I don't want to give away major plot points but I will say that I fell completely for our two main characters, Max and Ory. I haven't rooted so hard for a couple to win in forever and it was made all the more painful watching one of them slowly slip away. Naz was a great character that I loved from the start. I admired her strength in battle and my heart broke when hers did at each loss she stacked up. I even felt so much for The Amnesiac that I was pretty appalled with how things with his shadow developed. I missed him too. The big instances of character reveal at big moments, while very well done, were for me, a bit on the predictable side but they still landed with powerful effect. They were all heartbreaking and especially in the final instance, I wished denial could be a thing when you're reading a book. No amount of my knowing that it had to be made me amenable to embracing it as so and I fully admit that I was kind of resentful and put the book down for a couple of minutes. 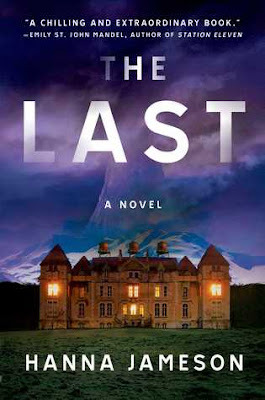 When I picked it back up, there were few pages remaining in the story but ended on such a high note of hope that I couldn't help but love the entire narrative. Love, courage, hope and sacrifice were played out wonderfully throughout. This is the third novel I've read this year that deals with memories and what is their value to us (the other two: Places In the Darkness by Chris Brookmyre and Obscura by Joe Hart) and am now wondering what's making it a theme lately. They are certainly making for my more memorable reads this year. I recommend this. Highly. If like me, you're a fan of The Space Between the Stars by Anne Corlett or Station Eleven by Emily St. John Mandel, give this one a read. It's out in June, just in time for vacation reading. Shepherd wove a great story and I look very forward to her next. A huge thanks to publisher William Morrow for an advance reader's copy for my honest review.